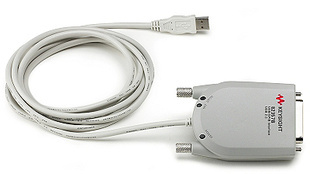 The Keysight 82357B USB/GPIB Interface provides a direct connection from a USB port on your laptop or desktop PC to GPIB instruments. There are no switches to set, no PC cards to install, and no external power supplies required. Getting connected has never been easier.